The team of quality auditors, that we have, strictly checks the entire production process for ensuring zero defects at buyer's end. The packaging procedure is supervised by our experts holding immense domain experience. Moreover, we make use of only quality packing material for ensuring complete safety of the orders during transit. We Provide a Large Selection of Alloy Steel Pipe Manufacturer at best prices in Mumbai India. 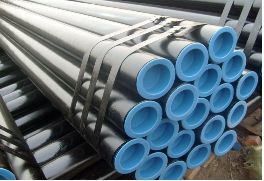 Our pipes are available in different sizes, grades, specifications and shapes.we also customize Alloy Steel Pipe as per the client needs or requirement. Alloy Steel - ASTM A335 GR. P1/ P5/ P9/ P11/ P22/ P91 etc. Types - Round , Square, Rectangular.